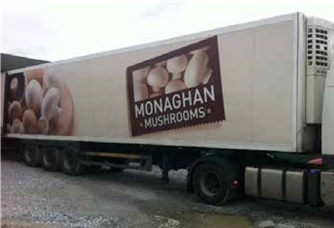 Producer (CMP) member which supplies mushrooms to the UK retail multiples each week. 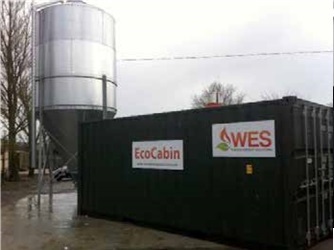 Clune Mushrooms has decided to install a 200kW EcoCabin Pellet boiler solution. Clune Mushrooms annual oil bill was €60,000 for 2011. During 2012 Clune Mushrooms evaluated various energy efficiency options i.e. Air Source Heat Pump (ASHP), Wood Chip and Wood Pellet Heating. 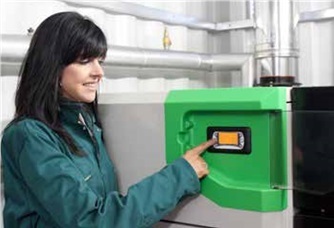 In particular, the farm trialled an EcoCabin with a 100kW E-COMPACT Wood Pellet Boiler on seven tunnels. It also trialled an ASHP on one tunnel. depending on the weather (which was un-seasonally mild for much of the trial period). As we approached November the COP was dropping considerably as temperatures dropped below 5°C. The ASHP had to be supplemented by the old oil boiler which had a running cost of €0.14/kWh (£0.11/kWh). Clune Mushrooms concluded that wood pellet offered the cheapest most consistent running costs and has now installed a 200kW EcoCabin to heat his entire farm of 13 mushroom tunnels. The owner fully expects to halve his heating costs during 2014 by switching to wood pellet. There are no Government incentives like the RHI in the Irish Republic. Clunedarby Mushroom Farm spent €56,000 on oil in 2012. He has recently seen his costs reduce by 60%. The farmer installed a 22 tonne Silo and currently buys pellets at €190 (£152) per tonne. 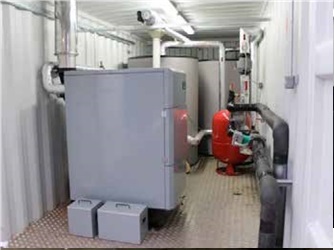 The EcoCabin is a pre-packaged plant room incorporating a 125kW E-COMPACT Pellet Boiler, 3000L of Buffer Storage, Plate Heat Exchanger and Pumps. The EcoCabin was delivered to site and the farmer’s installer connected the existing heating system to the EcoCabin. There was no disruption to the heat supply to the farm.